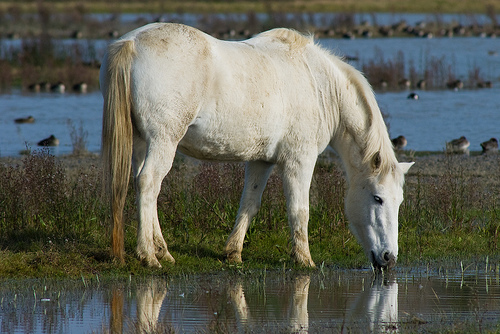 The Camargue horse is a breed that originated in the ancient times, mostly found in the Camargue region of Southern France. 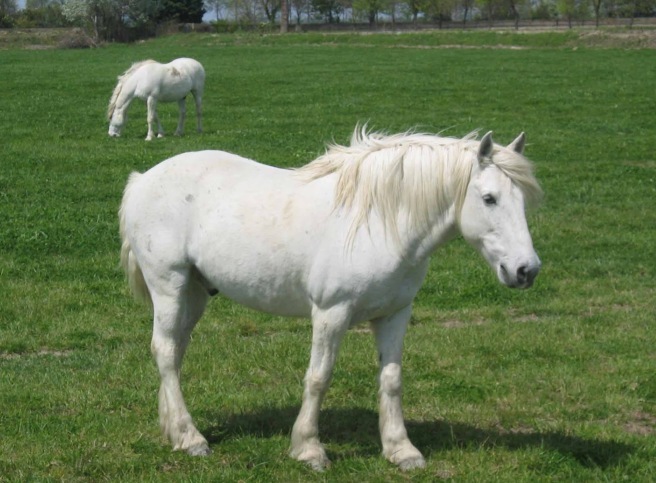 Though considered to be one of the oldest horse breeds, its origin remains unknown. Being used as the traditional mount of the herdsmen of the Camargue region (also known as Gardians) herding the Camargue bulls used for bull fighting in the Southern parts of France, these horses have become immensely popular in the present times due to their pleasing temperament and hardy nature. 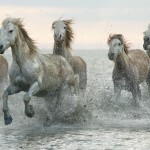 According to researchers, these horses may have descended from the Solutre horses hunted in the Upper Paleolithic age. The archaeological evidences excavated from the Burgundy area of France, also confirms the authenticity of this fact. 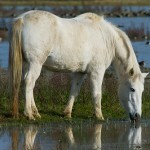 The Roman and Celtic invaders entering the Iberian Peninsula located in the south-western part of Europe also admired and praised the Camargue horses. 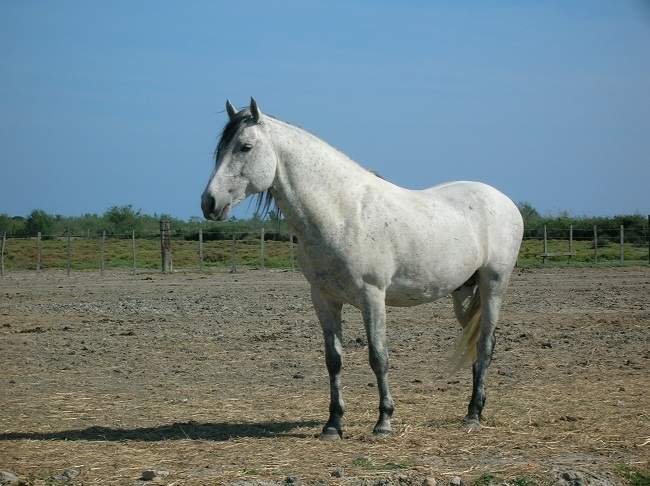 This probably has made its genealogy to be closely related to the Iberian horses especially those hailing from the north of the Iberian Peninsula. 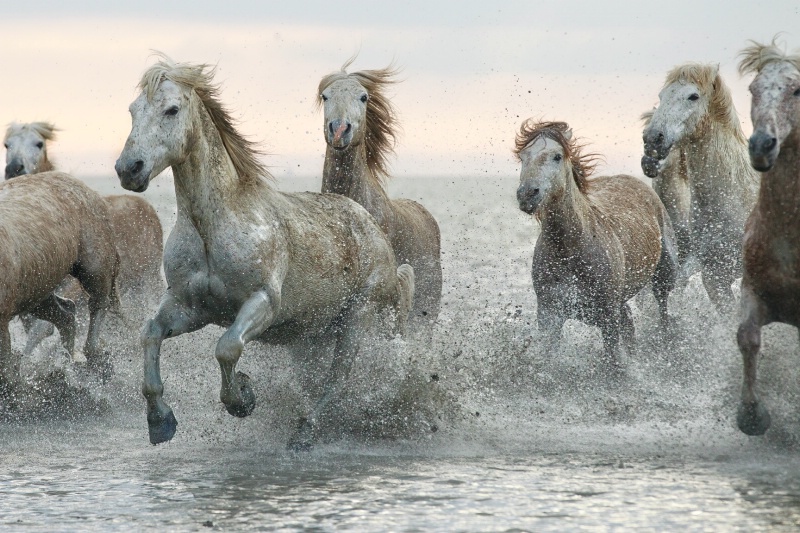 Julius Caesar, the famous Roman Emperor, encouraged the breeding of these horses while Napoleon got attracted by their sturdy nature, thus making them a part of his valiant army. 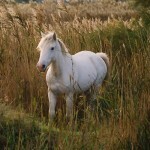 The Camargue horse has also said to be responsible for developing a variety of other equine breeds like the Spanish jaca ( developed by crossing the Camargue and the Celtic pony), Criollo and Chilean horse. This hardy breed was also assigned to work in large numbers during the construction of the Suez Canal in the 1860s. 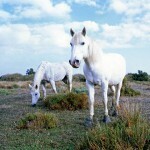 In 1976, the breed standards for these horses were set by the French government to preserve their standards and purity. They even started registering the breeders for them. 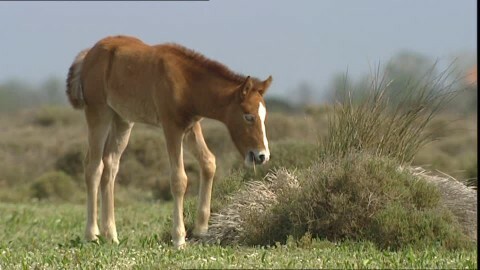 The stud book had been set up in 1978 with the conditions that the birth of the foals must take place outdoors. 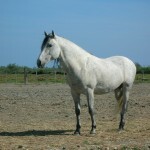 For the purpose of justifying the proof of their parentage they must also suckle from a mare that has been registered under this breed. 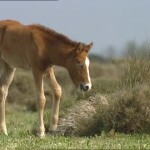 The horses that were born within the demarcated Camargue area were registered as “sous berceau”, whereas those born outside the domain were categorized as “hors berceau” (outside the birthplace or cradle). 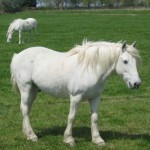 Being heavy and square-headed like the primitive horses, the influences of Barb, Thoroughbred, and Arabian breeds are also visible. 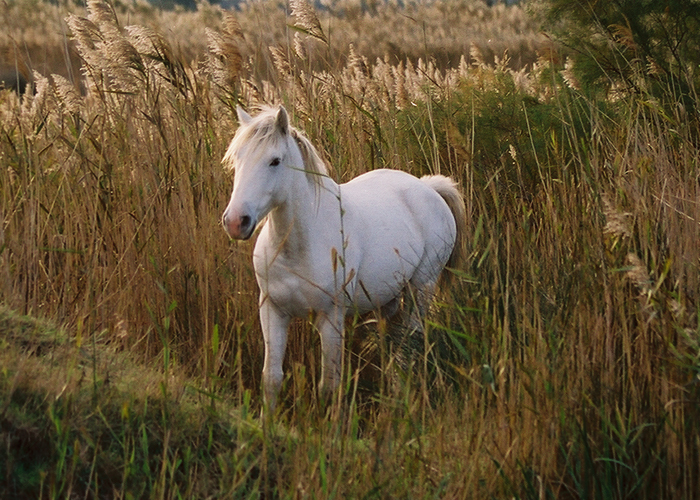 The Camargue breed in Britain is represented by the British Camargue Horse Society. It maintains a stud book for them as well as registers their ownerships. They might graze for about 22 hours in a single day when their food is scarce, whereas if they have their feed in abundance, their grazing time is fixed to dawn and dusk. 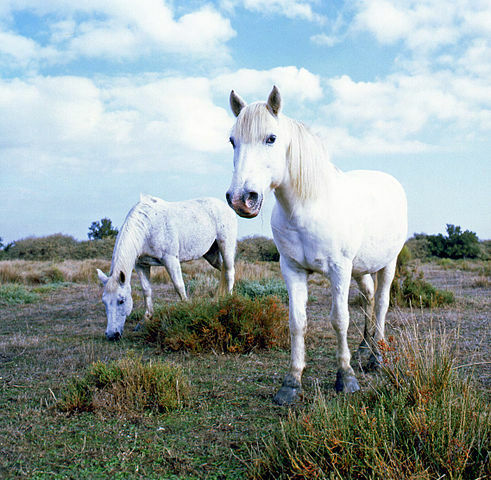 These horses as well as the Camargue region had been portrayed in the children’s film Crinc-Blanc having the English title ‘White Mane’. They are used for a host of traditional activities such as the abrivado (where the young men compete with the bulls that are running on the streets), which precedes the course camarguaise (a genre of bullfighting).